I wrestled my first big High School tournament taking 3rd at Tri State at 106lbs. It was the first time I had to cut a lot of weight. I lost in the quarters the first day. On day 2 I bounced back winning all by matching to take 3rd. I went 6-1 with 4 falls. My team took 4th. On the year my record is 11-1 with 9 falls. 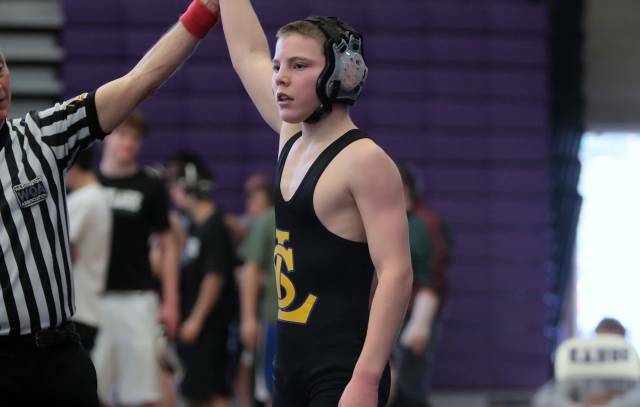 I had my first high school matches today at the Lake Washington Invite. I went 5-0 with all win by pin in the first period.